Std.M 2/c Charles B McKee, son of Mr. and Mrs. C.O. McKee, graduated from Frederick High School. 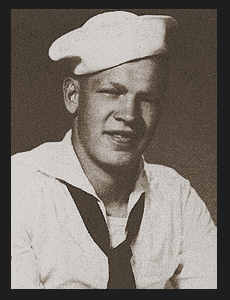 Entered Merchant Marines in Jan., 1945, trained in St. Petersburg, Fla.; served in Panama, S. Pacific and France; he also served aboard the U.S.S. Roy James Cole.